If your wood has been left untreated it will probably have turned a grayish color and be covered in dirt and grime! Before attempting to apply any sort of finish to it you should definitely use a wood cleaner to remove all this dirt and restore the wood’s natural color. This will also help the finish to penetrate as dirt and grease can prevent a good adherence and therefore lead to peeling and flaking. What tools do I need to clean untreated wood? You can use any of the following tools to use Net-Trol wood cleaner. 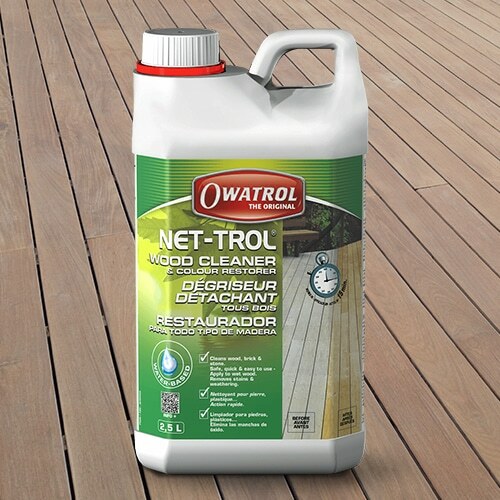 How do I use Net-Trol to clean my untreated wood? 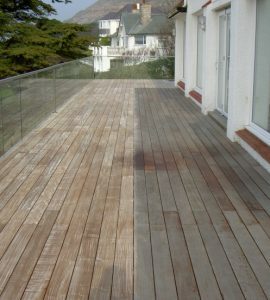 Please ensure that you allow your wood surfaces to dry for at least 48 hours before applying a finish. Do not apply on a hot surface; product will dry too quickly.